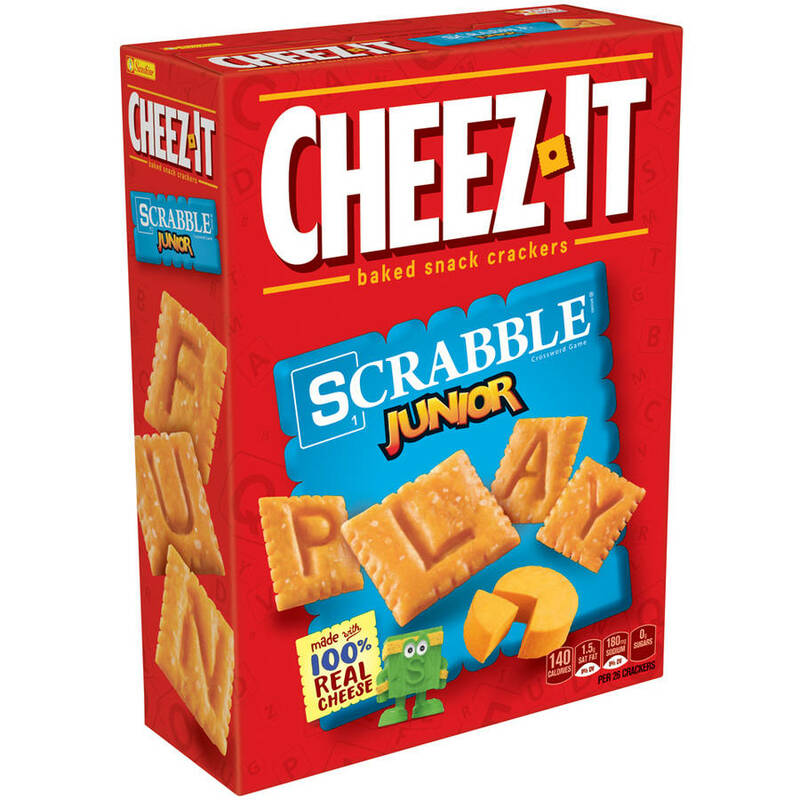 Packaged FINDINGS: Cheez-It® Scrabble Junior™ Crackers – Can You Spell GENIUS? She wanted the red Cheez-It® Scrabble Junior™ Crackers package that I was going to autopilot right past. To my surprise, the crackers had been magically transformed into spelling crackers. Talk about genius – turn a square, cheese-flavored snack cracker into a learning event and a fun way to play together! It was a simple but profound change to a product and package. The entire Cheez-It box was given to cobranding with the Scrabble Junior game. What is interesting is this did not entail a new packaging structure or a retooling of the cracker size or recipe, it simply included adding an imprint of the alphabet – making them look like Scrabble tiles. 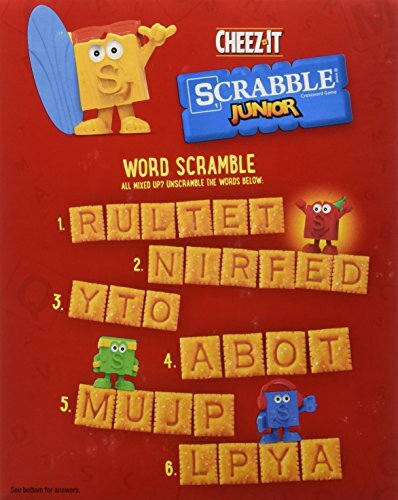 The package remains consistent with standard Cheez-It branding, adapted to include secondary branding for Scrabble Junior and several cracker “tiles.” The red background is the same but subtly reinforces the Scrabble theme by incorporating muted letter tiles scattered across the background of the package. What did change was the side and back panels, which were turned into a Scrabble word puzzle made out of crackers with the side panel crackers assembled to spell out “FUN.” Simple, clean and direct. I was surprised at the immediate connection the kids had with the package and concept, and once we had one in the cart and in the hands of the “consumers” the rest of the snack crackers in the house became instantly obsolete. Increasingly manufacturers are exploring and delivering new ways to deliver their products to consumers. The battle at shelf is already intense, but expanding or updating your products with innovative and creative packaging that is targeted to consumer taste and lifestyle gives you the opportunity to truly stop the consumer in their tracks and set your brand apart from the competition. What I find exciting is when a package is put on shelf that innovates or disrupts a category and becomes the standard for the new norm. Congratulations to the Cheez-It team – this is packaging that works well. We are now a letter cracker spelling family.